What colour is autumn? It’s often depicted in burnt orange, leaves tumbling crisp underfoot onto waiting pavements, bursting brambles growing wild in the woods staining fingers and lips a plummy purple. It’s a flickering red brown flame from a candle lit to ward off the ever longer nights, thick with grey clouds, flecks of silvery stars and bursts of gold fireworks come November. Yet it’s the green that catches my eye, those leaves not yet for turning despite the winds, light rain and increasing chill that the new season brings. Parks aren’t yet coated in blueish frost, the grass still bright and clear, waters aren’t a churned grey and still a sea green wash by the shoreline. Perhaps I chose to see the green amidst the golden tones, the contrast of the middle of a great change pleases me no end. It’s not so dark for permanent headlamps on cars but not so sunsoaked that winter coats aren’t in demand. 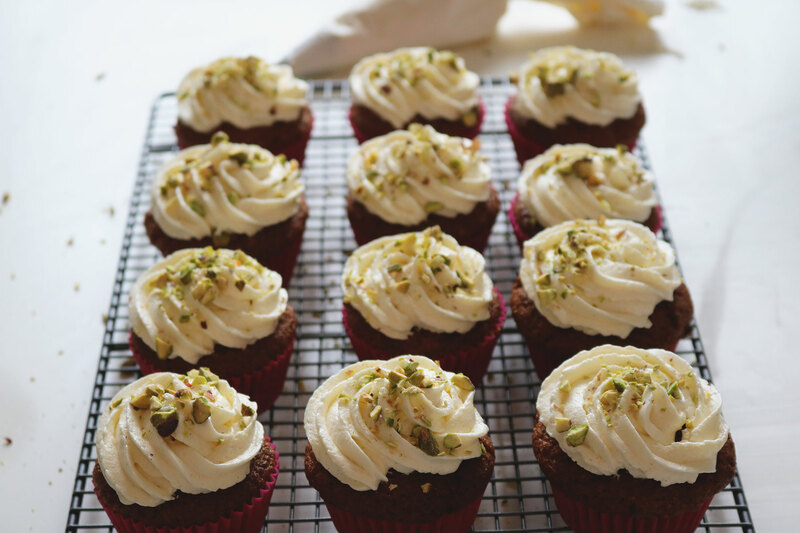 And so to a carrot cake, or rather individual carrot cupcakes, brought to life with bright flecks of orange and made earthy with the crisp green of pistachios. When autumnal bakes come to mind, the pumpkin and chocolate and winter berries often overtake those whose simplicity are just as comforting as return of spiced lattes and scarves. 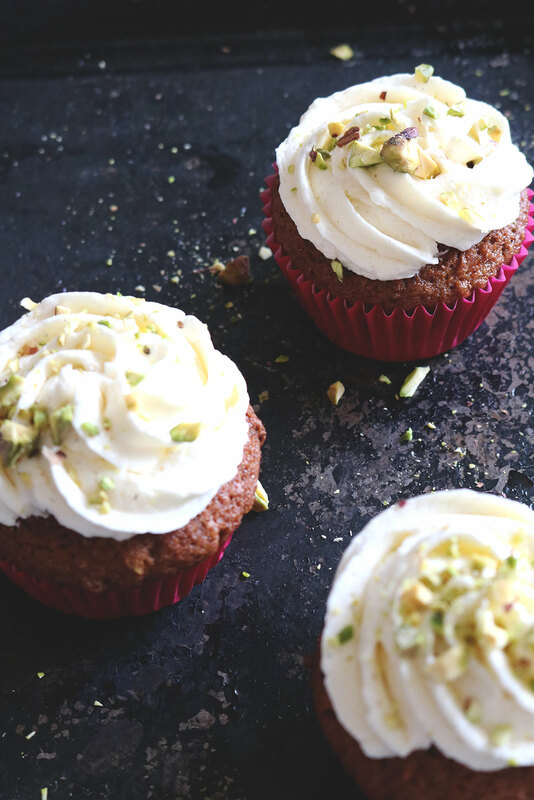 A good carrot cake is seasonless, it could be warming with the addition of extra root vegetables or light and fruity thanks to squeezes of citrus. This one is a mix of the two, spices just present enough to bring a comforting glow but with a spark of sweetness from orange. A swirl of light and fluffy vanilla buttercream and little fallen specks of pistachio top each cake off simply. We’re not trying to reinvent the wheel here, but if a carrot cake can be a beautiful thing celebrating the changes we’re about to experience when the full throes of autumn finally arrive, it can be no bad thing to have a batch to hand to cosy up with remembering the leaves as they were and as they are now. 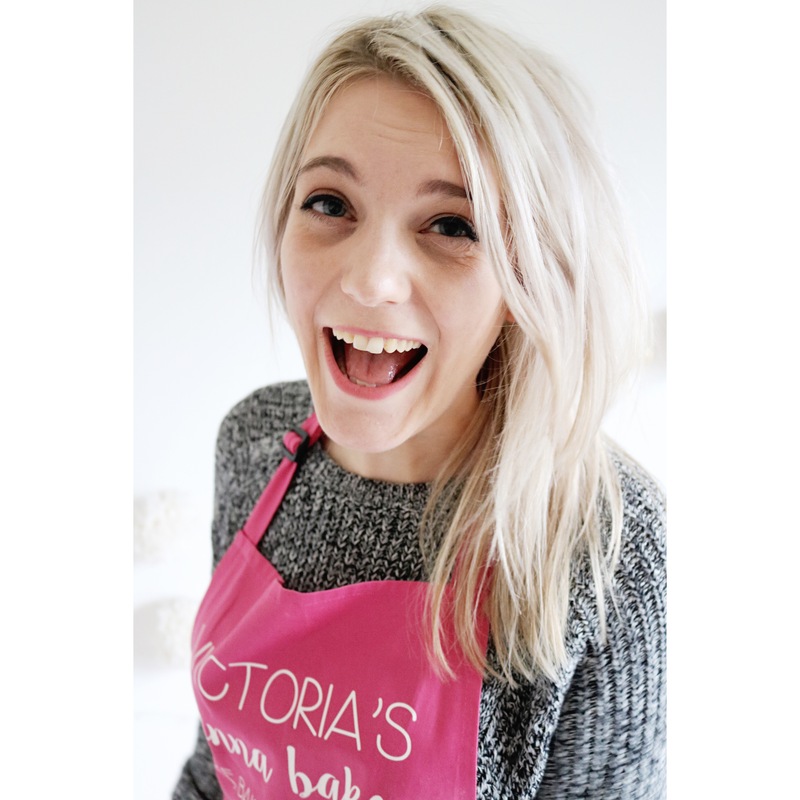 I’ve returned to filming to show just how easy it is to whip up these pretty little cakes, although forgive the changes in lighting and slight wobbles from the camera – it may be a new season but I’m still learning when it comes to recipe videos. Please let me know if you like the mix of jazz and cake, I find a recipe is more fun to watch when it is accompanied by a saxophone. Preheat the oven to 190oc/170oc fan and line a 12 hole muffin tin with cupcake cases. In a bowl, whisk together the flours, bicarbonate of soda, spices and sugar then set to on side. Crack the eggs into the oil and whisk together before pouring into the dry ingredients with the carrots. Fold to combine until the mix is well incorporated then add the orange zest, juice and pistachios and stir again. Divide the mix between the cases then bake for 20 to 25 minutes until golden brown and a skewer inserted in the middle comes out clean. Cool in the tin for a few moments before cooling completely on a wire rack. To make the buttercream, beat the butter in the bowl of stand mixer or large bowl if using a handheld mixer for around two to three minutes until it has turned very pale, whipped and creamy. Add half of the icing sugar and slowly combine together to stop the sugar puffing out of the bowl, then beat on high for around a minute until fluffy and smooth. Add the remaining icing sugar and repeat, increasingly the speed and beating until the buttercream is pale and fluffy. Add the vanilla and a splash or two of milk to loosen the mixture (almond gives the buttercream a nice nutty taste) and beat again to incorporate. Spoon into a piping bag fitted with a star nozzle and twist the bag at the end. Once the cakes are completely cool, hold the piping bag vertically over one cupcake and trace around the outside of the cake with the icing, swirling inward until you reach the middle, easing off the pressure and pulling up sharply. 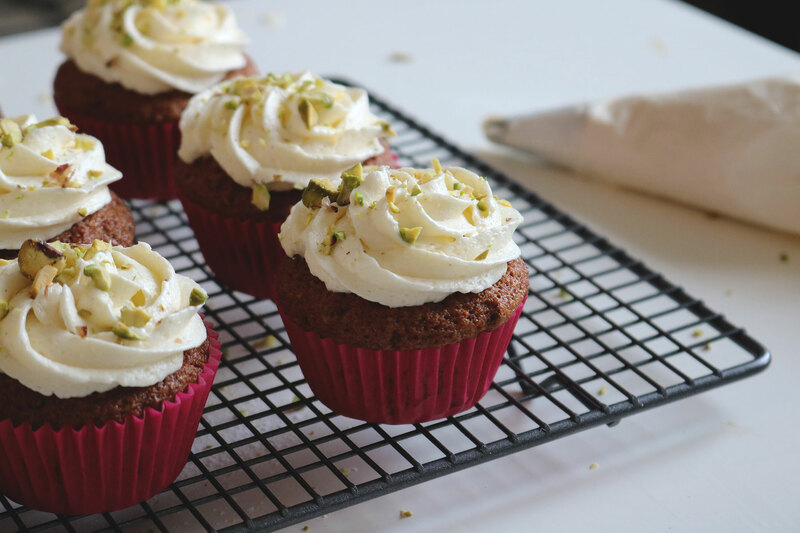 Repeat with the rest of the cakes and finish with a sprinkle of pistachios. 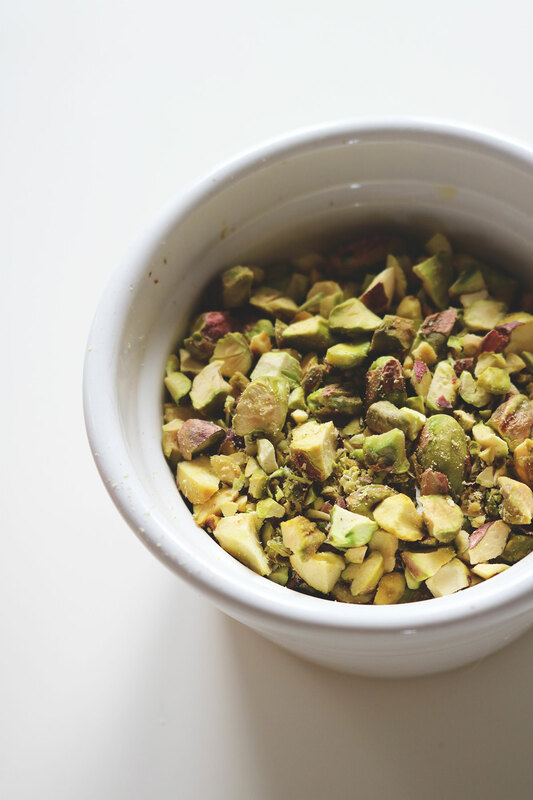 this looks so delicious, and what an interesting combination to use pistachio! Thank you Mary, they really are tasty and I love the contrast between the green pistachios and orange from the carrot – very autumnal! That’s such a nice thing to say Erin, what a total dream that would be! YUMM these look so unique and yummy!! Thanks Kari, pistachio just makes everything that little bit prettier and tastier! Thanks Kirsty-Rose, that’s very kind – hope you enjoy them! These look good once I have my new kitchen in I’m going to have a go at making them gluten-free and vegan. Hope you enjoy when your kitchen is finished Anya!